Crown Oil specialise in red diesel deliveries. 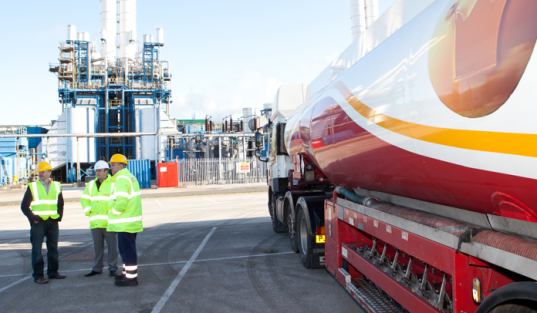 We are a leading national supplier delivering fuel to even the most remote areas in the country. We are red diesel suppliers in Stoke, and we can also deliver derv, kerosene, heating oil and lubricants nationally. We also supply biofuels, including CHP (Combined Heat and Power) fuel, eligible for ROCS certificates, and Carbon Offset Red Diesel (CORD), a fully carbon offset fuel including delivery of the fuel itself. We have over 70 years of experience in the fuel industry and we offer the best service. In case of an emergency we can deliver you fuel 24/7. Call 0845 313 0845 now to order red diesel. Stoke is a metropolis in Staffordshire in England and it covers about 93 square kilometers. While it was formerly known as the pottery centre of England, this city is today renowned as a distribution and service industries centre. Many people who use red diesel refer to the excellent distribution services of Stoke for fuel. There are suppliers who will replenish your stock of red or white diesel, and they are all just a phone call away. Since many people today prefer to use the cheaper red diesel for the heavy-duty, off road services, then getting good red diesel Stoke suppliers is the order of the day. Luckily, Stoke is made up of professionals who furnish all orders on time. Red diesel fuel is far less expensive than the normal white diesel fuel. There is not much to it really, except that a red dye is added to diesel fuel. Red diesel is cheaper because it is minimally taxed. It is more economical to use red diesel and therefore if you are thinking of heavy duty fuel that will not cost you much, then you had better think about red diesel Stoke, especially if you come from the city of Stoke-on–Trent, popularly shortened to Stoke. There, you will find a lot of credible red and white diesel suppliers. With the economy at a crunch, you will want to save as much money on fuel as you can. If you want to order online, you can just enter red diesel Stoke suppliers in the search box and you will find all of them listed. Compare prices before picking one. Many red or white diesel suppliers in Stoke are listed online, and thus it is very convenient to place your order online. With the fast efficacy for which the English are known, you will have your order for fuel honoured in almost no time at all. It is common to see tanker trucks carrying red diesel roaring down the highways to other industries and farms in the precincts of the city of Stoke. As well as being online, Stoke diesel suppliers are also listed on the telephone directories. Get in touch with them today and get your economic fuel delivered on time.